If you want more action and adventure in Minecraft, this mod may interest you. Doomlike Dungeons 1.7.2 and 1.7.10 is a mod inspired and based on the random levels generator Oblige for classic games like Doom or Heretic. The mod is responsible for generating new dungeons spread throughout the world, where we find new challenges, with the spawns of enemies and chests with rewards. 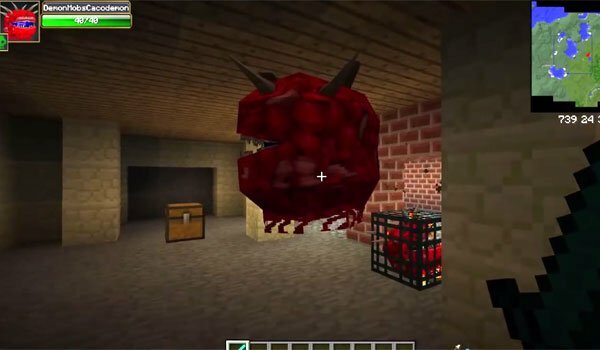 How to install Doomlike Dungeons Mod for Minecraft 1.7.2 and 1.7.10?